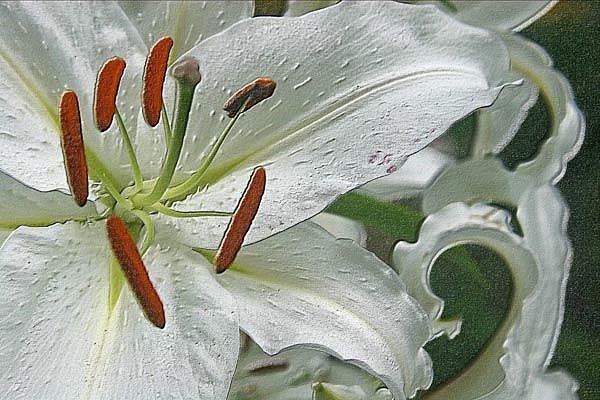 This Lily image was created from a photo taken by myself of a blooming lily found in a friend's yard. I was especially attracted to the image because of the drama of the stamens and the curls of the other petals. It was worked on in Photoshop which added texture to the image and gave it dimension.